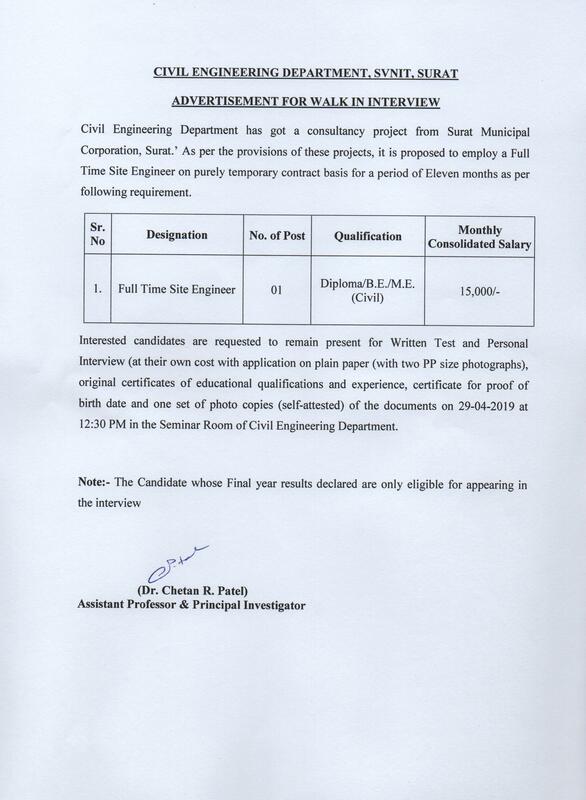 Advertisement of Site Engineer at Civil Engineering Department, SVNIT, Surat. Advertisement of Assistant Professor at SVNIT. Uploaded on webpage on 9th March, 2019 at 03:15 p.m.
Advertisement of Registrar, Dy. 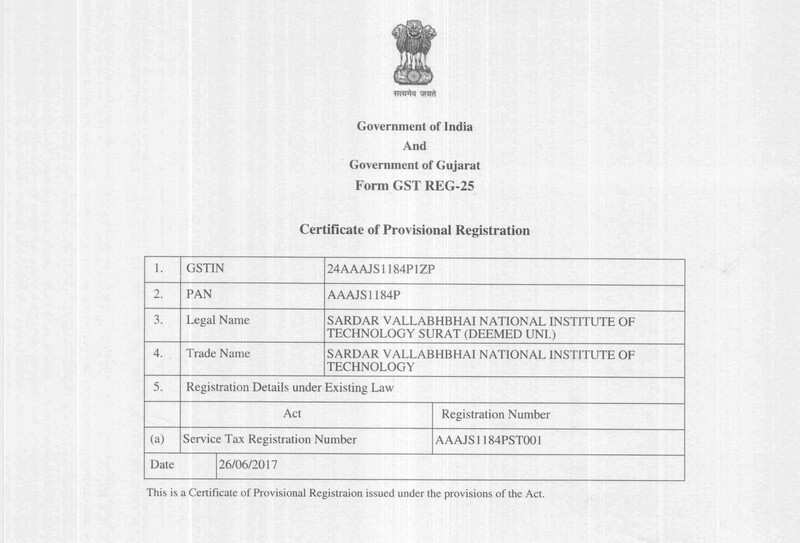 Registrar, Assistant Registrar at SVNIT. Uploaded on webpage on 9th March, 2019 at 03:15 p.m. The Sardar Vallabhbhai National Institute of Technology, Surat popularly known as National Institute of Technology, Surat, NIT Surat or SVNIT, is an engineering institute of higher education established by the Parliament of India in 1961.